One third of a bumbling trio who are determined to gain glory, fame and women by proving themselves to be China's greatest heroes. Ling has a passion for jokes, and though he can be hostile to people he does not know, Ling is actually friendly and enthusiastic upon closer inspection. 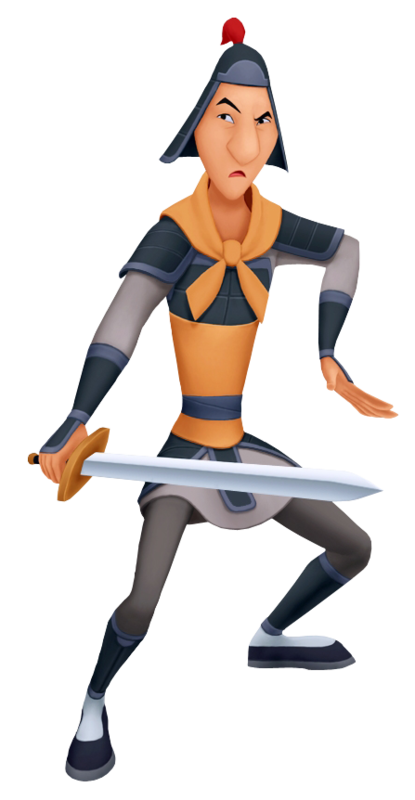 Like Mulan, Ling grows out of his cowardly shell and becomes a minor hero in his own right.